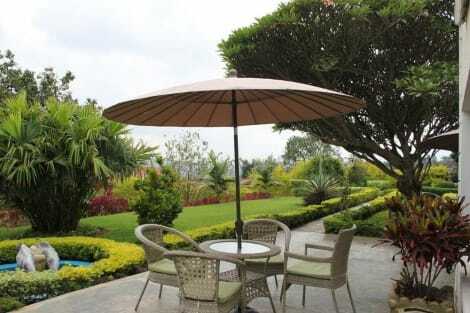 Located in Kigali, Kigali Art Gallery features a garden and terrace. Among the various facilities are a shared lounge and a bar. Free WiFi is provided. The rooms at the hotel are fitted with a seating area. Each room is equipped with a private bathroom with a bidet, while certain rooms will provide you with garden views. The units include a wardrobe. A vegetarian breakfast is served every morning at the property. Languages spoken at the 24-hour front desk include English, French and Swahili. MTN Centre Kigali is 4.3 km from Kigali Art Gallery, while Kigali Centenary Park is 5 km away. Make yourself at home in one of the 36 guestrooms. Complimentary wireless Internet access keeps you connected, and cable programming is available for your entertainment. Private bathrooms have deep soaking bathtubs. 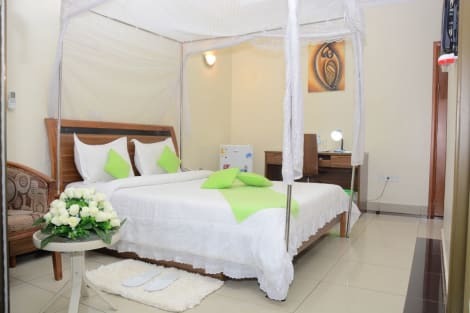 Conveniences include desks and fans, and housekeeping is provided daily. Take in the views from a garden and make use of amenities such as complimentary wireless Internet access and concierge services. This hotel also features a picnic area and barbecue grills. Featured amenities include dry cleaning/laundry services, a 24-hour front desk, and multilingual staff. This hotel has 2 meeting rooms available for events. A roundtrip airport shuttle is complimentary (available 24 hours). Featured amenities include a 24-hour business center, limo/town car service, and express check-in. Guests may use a roundtrip airport shuttle for a surcharge, and free self parking is available onsite. Make yourself at home in one of the 51 air-conditioned rooms featuring minibars and flat-screen televisions. Rooms have private balconies or patios. Complimentary wireless Internet access keeps you connected, and cable programming is available for your entertainment. Private bathrooms with separate bathtubs and showers feature complimentary toiletries and hair dryers. Take advantage of recreation opportunities such as an outdoor pool, or other amenities including complimentary wireless Internet access and concierge services. Additional features at this hotel include babysitting/childcare and a banquet hall. Featured amenities include complimentary wired Internet access, a 24-hour business center, and express check-in. Event facilities at this hotel consist of conference space and a meeting room. A roundtrip airport shuttle is complimentary (available 24 hours). With a stay at Primebiz Apartments in Kigali, you'll be within a 10-minute drive of Kigali Convention Centre and Inema Art Center. 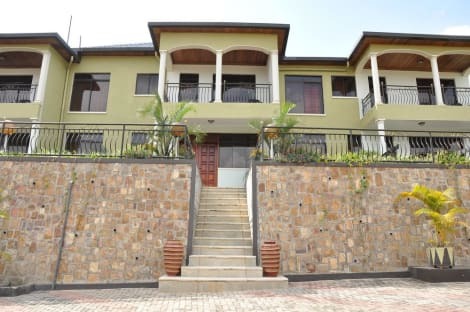 This hotel is 1.1 mi (1.8 km) from Ivuka Arts Kigali and 1.4 mi (2.3 km) from Rwanda Development Board. 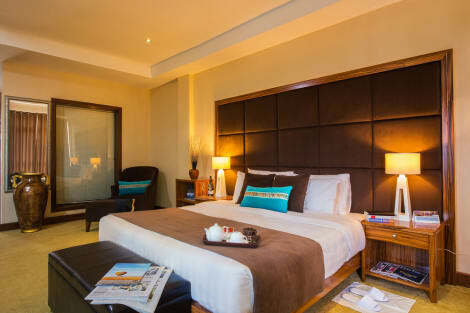 Make yourself at home in one of the 34 air-conditioned rooms featuring refrigerators and Smart televisions. Rooms have private furnished balconies. 32-inch flat-screen televisions with premium TV channels provide entertainment, while complimentary wireless Internet access keeps you connected. Bathrooms feature showers with rainfall showerheads and complimentary toiletries. Located in Kigali, Cari Hotel is a 3-minute drive from Rwanda Development Board and 5 minutes from Kigali Convention Centre. 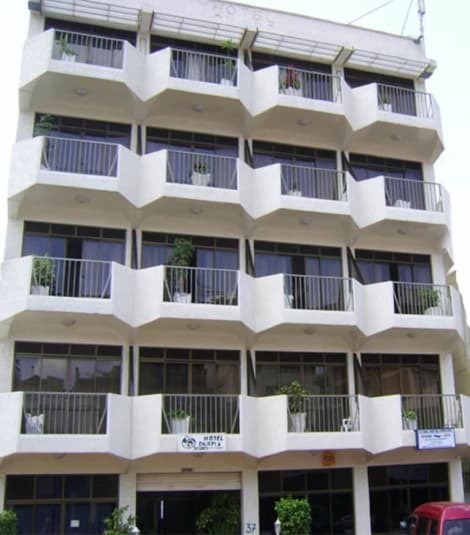 This hotel is 1.6 mi (2.5 km) from Inema Art Center and 1.7 mi (2.8 km) from Stade Amahoro. 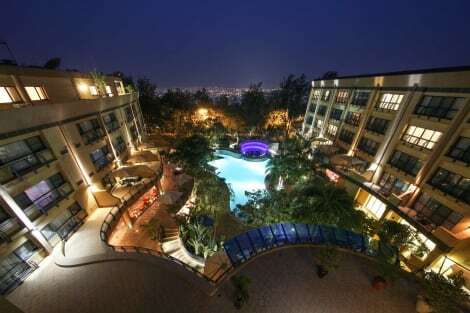 lastminute.com has a fantastic range of hotels in Kigali, with everything from cheap hotels to luxurious five star accommodation available. We like to live up to our last minute name so remember you can book any one of our excellent Kigali hotels up until midnight and stay the same night.